Edible Forest Gardens is a groundbreaking two-volume work that spells out and explores the key concepts of forest ecology and applies them to the needs of natural gardeners in temperate climates. Volume I lays out the vision of the forest garden and explains the basic ecological principles that make it work. In Volume II, Dave Jacke and Eric Toensmeier move on to practical considerations: concrete ways to design, establish, and maintain your own forest garden. Along the way they present case studies and examples, as well as tables, illustrations, and a uniquely valuable “plant matrix” that lists hundreds of the best edible and useful species. Taken together, the two volumes of Edible Forest Gardens offer an advanced course in ecological gardening–one that will forever change the way you look at plants and your environment. We reviewed the first volume of this two-volume set in September 2005 HortIdeas--in fact, we were so impressed by it that we devoted that month's Book Reviews section entirely to it. Until Mycelium Running--another amazingly important and well-done book--appeared, we were considering doing the same this month for the second volume of Edible Forest Gardens, which is much thicker (by more than 270 pages!) than the first volume. The shorter length of this review certainly does not reflect the relative importance of the volumes--we recommend that anyone interested in experimenting with temperate-zone "gardening in the image of the forest" should study both. Although Volume 2 ostensibly emphasizes "practical" information building on the "theoretical" ideas in Volume 1, it is clear that both volumes are essentially theoretical. 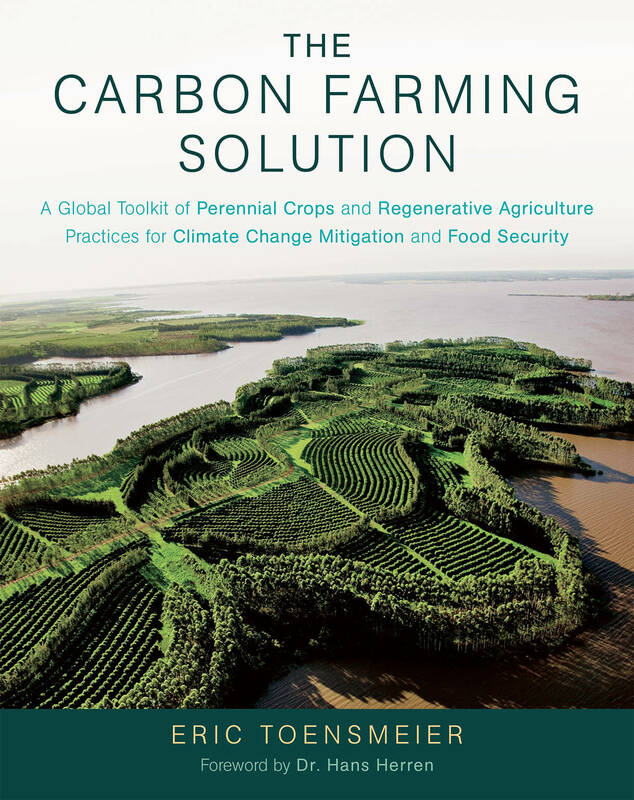 That's because (as we discussed in our review of Volume 1) nobody has yet convincingly shown the viability of forest gardening (relying heavily on perennial crops) in temperate areas as a sustainable alternative to conventional gardening (based mainly on annual crops). Jacke and Toensmeier are, admirably, attempting to disseminate ideas gathered from a variety of source that might enable such viability. Ultimately, at this stage development of temperate-zone forest gardening techniques, virtually all approaches are experimental and in need of validation. We simply do not currently know their limitations. Understanding that knowledge on "nest practices" for temperate-zone forest gardening needs to be established experimentally can be exciting for those willing and able to adopt the scientific attitude: no matter how they turn out, the results of an experiment, performed appropriately (meaning especially that adequate control treatments are provided), are never "bad." In other words, we think that would-be temperate-zone forest gardeners who are sincerely interested in helping to establish this novel form of agriculture should proceed by trying to test some of Jacke and Toensmeier's numerous design, site preparation, species choice and establishment, and management guidelines. We view Volume 2 of Edible Forest Gardens not as a recipe book for what works but rather as a compendium of possibilities for what could work--an invitation par excellence to experimentation instead of complacency. Right on! But even if you grow enough organic food to feed yourself, are you doing what's best for the ecosystem? "Many drawbacks of modern agriculture persist in organic farming and gardening," Dave Jacke and Eric Toensmeier write in Edible Forest Gardens, because they do not "mimic the structure of natural systems, only selected functions." Even Quail Hill Farm members are still harvesting mostly annual crops grown in plowed fields. Jacke and Toensmeier offer a radical vision for stepping out of the conceptual continuum of conventional agriculture and organic farming. They point to the productivity of temperate forests--which is twice that of agricultural land in terms of net calories--and take that as their design model. Building on Robert Hart's classic book, Forest Gardening, and incorporating permaculture practice, Jacke and Toensmeier propose a garden where many species of edible perennial plants are grown together in a design that mimics forest structure and function. Edible Forest Gardens is an ambitious two-volume work whose influence should extend well beyond ecologists and permaculturists and, in the best of all outcomes, reach into the mainstream. 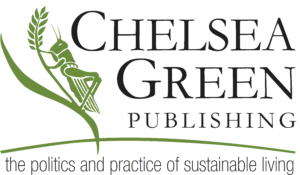 Volume one lays out the "Ecological Vision and Theory for Temperate Climate Permaculture," and it also includes a very useful analysis of existing forest gardens (one only 50 by 90 feet) and a tantalizing 30-page appendix of "top 100" species. As of this writing, volume two, which focuses on practical design and maintenance considerations, is just being released, but on the evidence of volume one, I have no doubt the set will be an indispensable reference for gardeners and farmers for decades. "When people have food gardens," the authors write, "they usually are tucked out of sight and out of view of the neighbors. They rely on external inputs of energy, nutrients, insect and disease controls, and water and are based primarily on annual plants. For some reason, growing food is considered unsightly, unseemly, possibly antisocial, and in some towns and cities, illegal! The tremendous infrastructure we have built in our cities and towns reflects a culture and horticulture of separation and isolation." The consequences of such attitudes about growing food have been disastrous, and each of us can contribute to the repair effort. Jacke and Toensmeier say that the principles of forest gardening can be applied even in a tiny urban yard or on a rooftop. Containers of edible perennials and annuals on a rooftop are not most farmers' idea of agriculture, but I grow nearly 20 percent of the authors' top 100 species and intend to look for ways to take this small start much further. And what about chocolate and oranges? Clearly there are foods that cannot be grown in a temperate forest. "We do not expect forest gardening to replace regular gardening or the foods we know and love," the authors admit. "Just how far we can take forest gardening in supplying food for ourselves is not yet determined." Finding the answer may be the most optimistic work gardeners and farmers can do. Dave Jacke has been a student of ecology and design since the 1970s, and has run his own ecological design firm—Dynamics Ecological Design Associates—since 1984. Dave is an engaging and passionate teacher of ecological design and permaculture, and a meticulous designer. He has consulted on, designed, built, and planted landscapes, homes, farms, and communities in the many parts of the United States, as well as overseas, but mainly in the Northeast. A cofounder of Land Trust at Gap Mountain in Jaffrey, NH, he homesteaded there for a number of years. He holds a B.A. in Environmental Studies from Simon's Rock College (1980) and a M.A. in Landscape Design from the Conway School of Landscape Design (1984). You can learn more about his work at edibleforestgardens.com. He lives in Keene, New Hampshire. Eric Toensmeier is the award-winning author of Paradise Lot and Perennial Vegetables, and the co-author of Edible Forest Gardens. 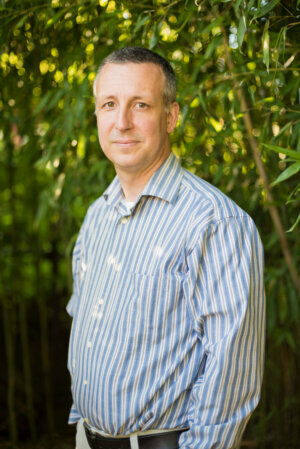 Eric is an appointed lecturer at Yale University, a Senior Fellow with Project Drawdown, and an international trainer. He presents in English and Spanish throughout the United States, Canada, Mexico, Guatemala, and the Caribbean. Eric has studied useful perennial plants and their roles in agroforestry systems for over two decades, and cultivates about 300 species in his urban garden. His writing can be viewed online at perennialsolutions.org. Perennial vegetables are a food gardener's dream. Plant them once, treat them well, and they'll keep on feeding you year after year. Eric Toensmeier, author of Paradise Lot and Perennial Vegetables, and coauthor of Edible Forest Gardens, is the reigning expert on these easy-to-grow crops, and his new DVD takes you on a plant-by-plant tour through his garden in Massachusetts, as well as edible landscapes in Florida and Mexico. If you're looking for some new crops to liven up your garden and your palate, Toensmeier will show you plants you never dreamed could be dinner. Edible Shoot Bamboo - Harvest the young shoots and eat it like asparagus, it's also a useful plant for making garden stakes and other projects. Giant Fuki - A Japanese vegetable that loves damp shade. Harvest the stalks, boil them, peel them, then add them to soups or tempura. Edible Hosta - Typically sold as a shade-loving ornamental, Hosta is a popular vegetable in many parts of Asia. Harvest the curled shoots that emerge in early spring. Giant Solomon's Seal - A beautiful ornamental that's also a delicious vegetable. Harvest the shoots, cut off the leaves which are bitter, and prepare it like asparagus. Solomon's Seal also produces edible tubers that you can cook up like potatoes.